Complementary Therapy Treatment Rooms To Let | The Cornmill Health Centre East Grinstead. We welcome new practitioners to the Cornmill Complementary Health Centre. We provide reception and appointment services. 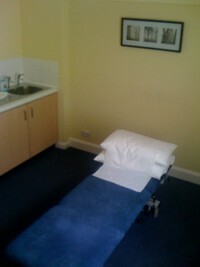 We have treatment rooms available for rent in East Grinstead, Sussex. The Clinic has 4 rooms available to rent on a 4 hourly session or hourly basis. Practitioners are encouraged to promote themselves and bring their own patients to add to the ones generated by the clinic. Treatment couches, pillows, couch covers and couch rolls are provided. Practitioner supplies own towels and oils. Please ring for more details on 01342 301085.